This article appeared in the American’s Bulletin (July/August 2015) Vol. 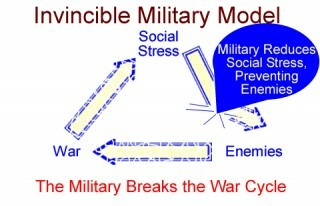 43, issue 07/08, page 8.
prevent war and create peace by harnessing the deepest level of nature’s functioning. between competing sides, thereby reducing the probability of hostilities. and enlivens this unified field through subjective technologies of consciousness, thereby creating a profound influence of coherence and harmony throughout society that results in measurable reductions of crime, terrorism, and war. 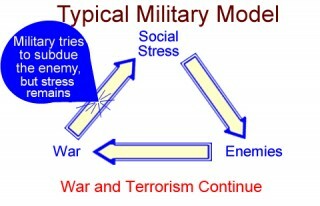 collective societal stress and resulting conflict. this phenomenon the Maharishi Effect, since Maharishi Mahesh Yogi first predicted it. on the level of the unified field from the peace-creating group into the larger population. • cooperation among antagonists increased by 66 percent. The likelihood that these combined results were due to chance is less than one part in 10 to the 19th power (Journal of Social Behavior and Personality and Journal of Scientific Exploration). A global-scale study published in the Journal of Offender Rehabilitation documented a 72 percent drop in international terrorism. approximately 1,717 soldiers would be needed. 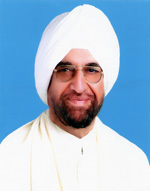 Maj. Gen. (Dr.) Kulwant Singh, UYSM, Retd. received his Ph.D. and M.Sc. in Defense Studies from Chennai University. He also has a postgraduate diploma in Human Resource Development from Indira Gandhi National Open University (IGNOU) in New Delhi. Dr. Singh has a postgraduate diploma in Management from the Regional College of Management and Technology (RCMT). He qualified for the prestigious Higher Command Course at College of Combat and is a graduate of the Defense Service Staff Collage. He fought in combat and led India’s fight against India’s intransigent terrorism problem for nearly 30 years. Maj. Gen. Singh was awarded the Uttam Yudh Sewa Medal, the second highest decoration for senior officers during operations in Sri Lanka as part of IPKF (Indian Peace Keeping Force). 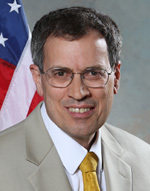 Today he is leading an international group of generals and defense experts that advocates Invincible Defense Technology. Dr. Singh lives in New Delhi, India. This entry was posted on Friday, August 21st, 2015 at 12:09 pm	and is filed under Articles. Both comments and pings are currently closed.